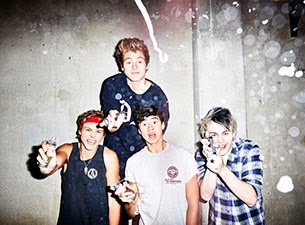 5 Seconds Of Summer have revealed they will be heading out on a European tour next year. The Aussie pop/rock four-piece confirmed earlier today (July 4th) the tour will include dates in the UK, Ireland, Portugal, Spain, Italy, Switzerland, Denmark, Sweden, Norway, Germany, Netherlands, Belgium and France. Dates and ticket information are expected to be announced this Monday (July 7th). The band will be on tour in support of their self-titled debut album, that drops July 22nd (US/Canada) via Capitol. You can read our review of it here.